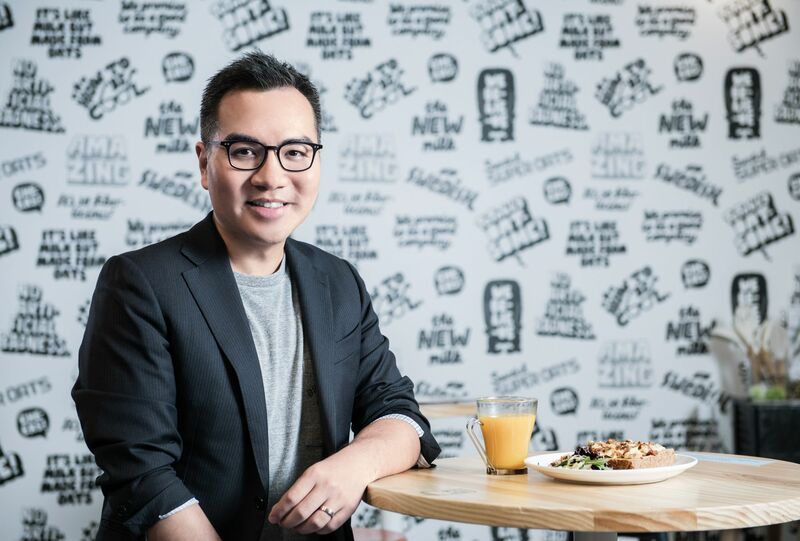 David Yeung, Tatler 500 lister and founder of sustainable start-up Green Monday, is a pioneer in eco-friendly plant-based eating in Hong Kong. He's also the author of several best-selling books on Zen wisdom. We spoke to the entrepreneur about mindfulness and why living simply is the key to a balanced, happy life. I am an environmental advocate and a social entrepreneur trying to mobilise the world towards a plant-based diet, as meat consumption is a major cause of climate change, food insecurity and global health issues. I am passionate about food, with a specific focus on global innovation in the plant-based space. Every moment I spend with my daughters and my family. Every occasion I meet a kindred spirit. Every milestone we achieve in creating a better world. Like many people, in today’s digital and connected world, my phone has indeed become an absolute essential. Well, also my phone. I want to be on my phone less so that I can live more in the moment. Hiking is one of my favourite activities. Making time for my family also is key in helping me achieve balance in life. Meditation, rest and of course, eating healthy plant-based food. Allocating time for reading is a must. We are already bombarded in our day-to-day lives. If we don’t take care of ourselves, there is no chance we can take care of others. Family time. Quality time with good friends. And quality sleep. Most people strive to achieve more, accomplish more, gain more. What they tend to overlook and forget is that we actually already have a lot. So one way to interpret “less is more” is to look outward less, and to look inward more. We will discover a whole universe inside us that has not been explored. Multiple Amino Acid replenishes balanced nutrition absorption for people who consume less meat in their diets. Just like their skincare products, FANCL provides health supplements that contain no preservatives that aim to offer complete health and nutritional support for those leading a hectic city life. These health supplements are ideal for hardworking yet health-conscious individuals, like David, to help him replenish nutrition absorption in the blink of an eye. David Yeung Noted environmental advocate and founder of Green Monday.